Known facts about me and makeup. I don’t wear a lot of it and I don’t wear it a lot. In fact most of the cosmetics I have go bad before I get close to using it all up. Another fact: As I get older, the no-makeup look isn’t working as well for me. In a nutshell, I was scheduled to make a presentation on the weekend, all of my makeup was expired and I needed to re-invest. At the same time, I was reluctant to drop a lot of dough on stuff I was going to throw out in a year. So I did some research and decided to check out the NARS multi-purpose stick for eyes, lips and cheeks. Since I was throwing all my eggs into one basket, I figured I’d get a makeup consultation so that I chose the right colour for my complexion. So I went to Sephora. The consultant advised choosing Anguilla, a shade with yellow undertones as red undertones made my skin look splotchy. And even though you often hear that aging complexions needs a bit of shimmer to make skin look dewy, I’m kinda shiny so we went with the Matte formulation. Wearing a monochromatic makeup palette feels very Parisienne to me. I basically applied it from lash line to eyebrow and along the cheekbone, and then blended where the cheek and browbones meet for a semi-Geisha look. My biggest aging issue is dark spots. We looked at a couple of treatment foundations that contained vitamin D to lessen the pigmentation problems, but most of them didn’t come in a light enough shade. 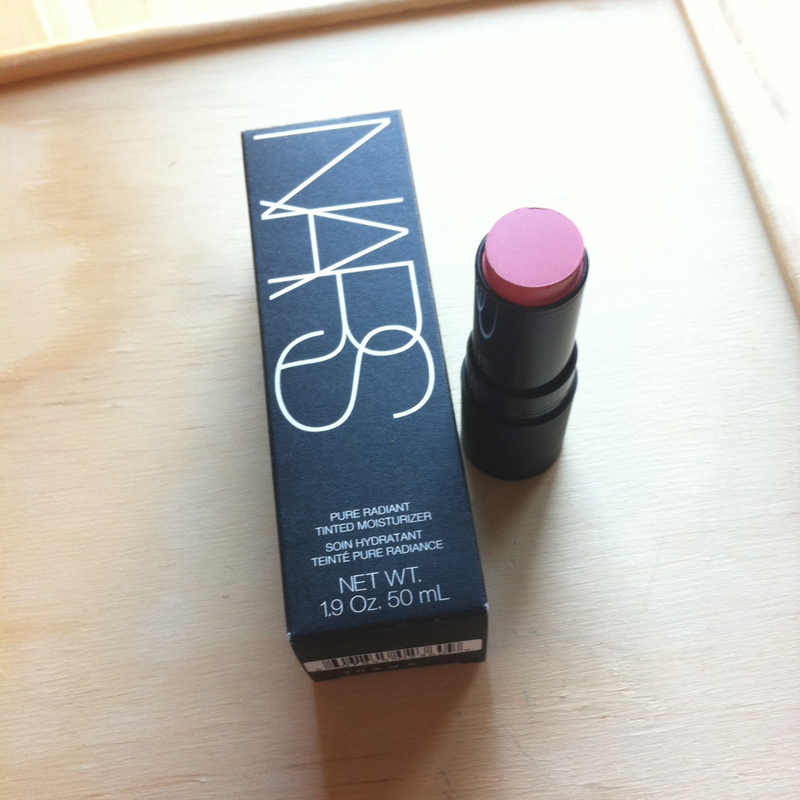 So we circled back to the NARS counter where I got the Pure Radiant Tinted Moisturizer (with sunscreen). It seems to do the trick, coverage-wise, without feeling all masky. Both the foundation and Multiple stick feel light enough that it feels like I’m not wearing makeup. For everyday, this could be all that I need. For presentations under bright lights, I would opt for a more saturated lipstick and some eyeliner for definition. And if I don’t end up using it all, I’m not wasting quite as much packaging, etc.